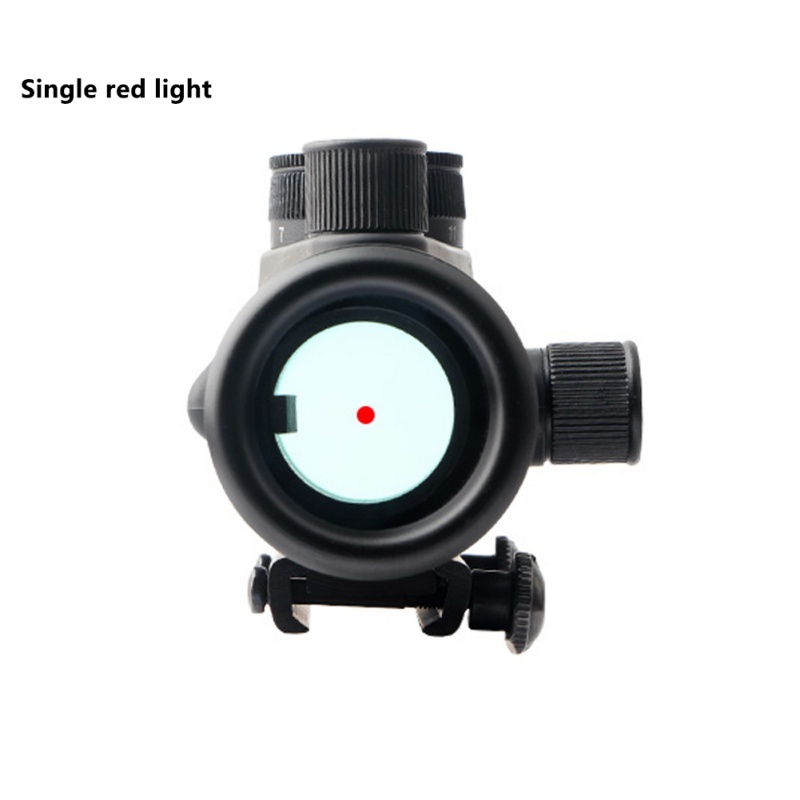 11 brightness adjustment red dot sight. 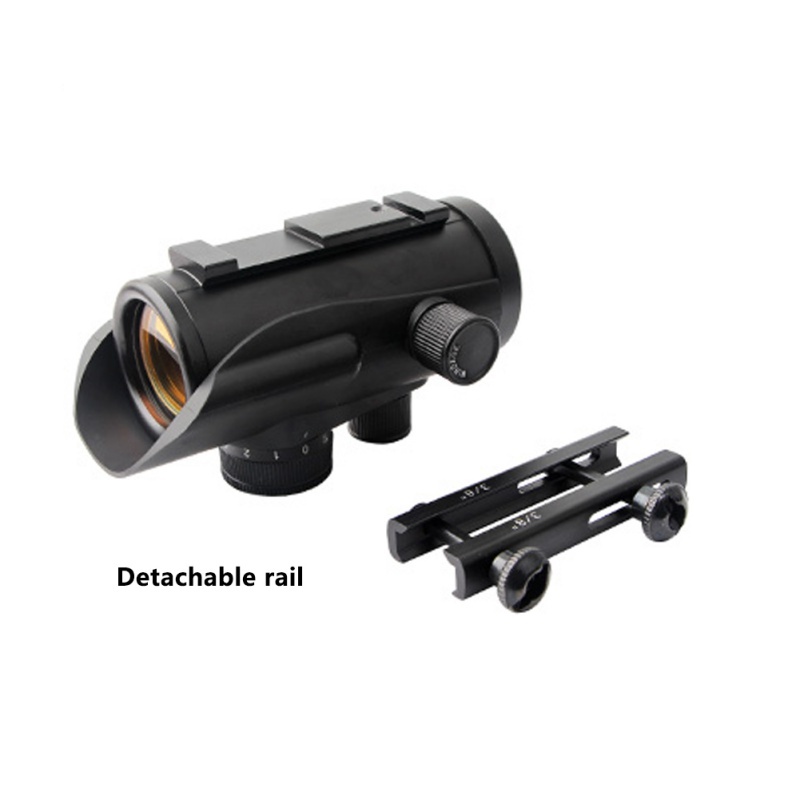 Fits all 20mm Picatinny And 11mm Weaver Rail." 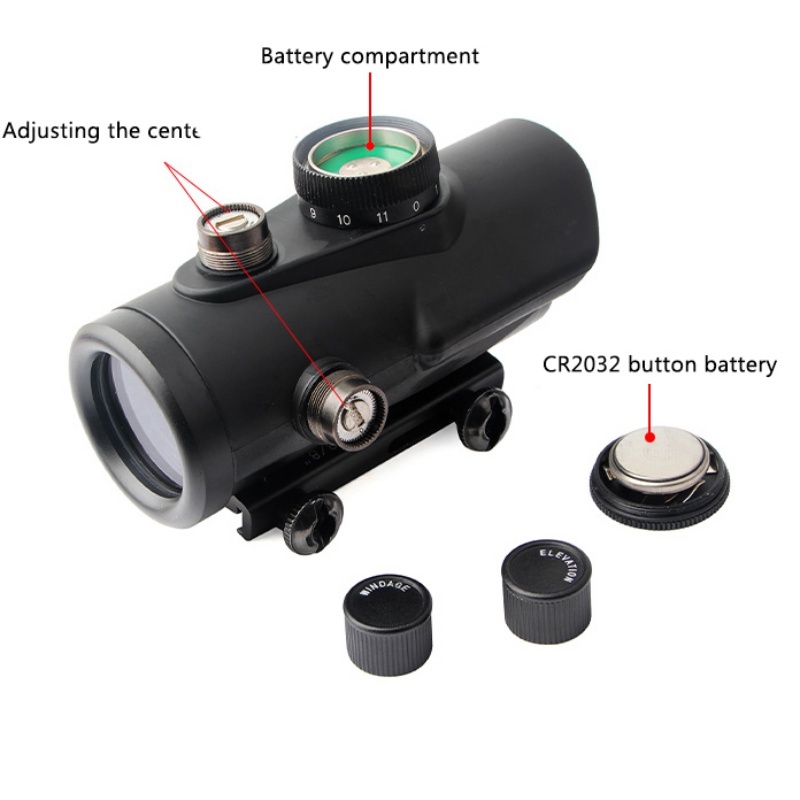 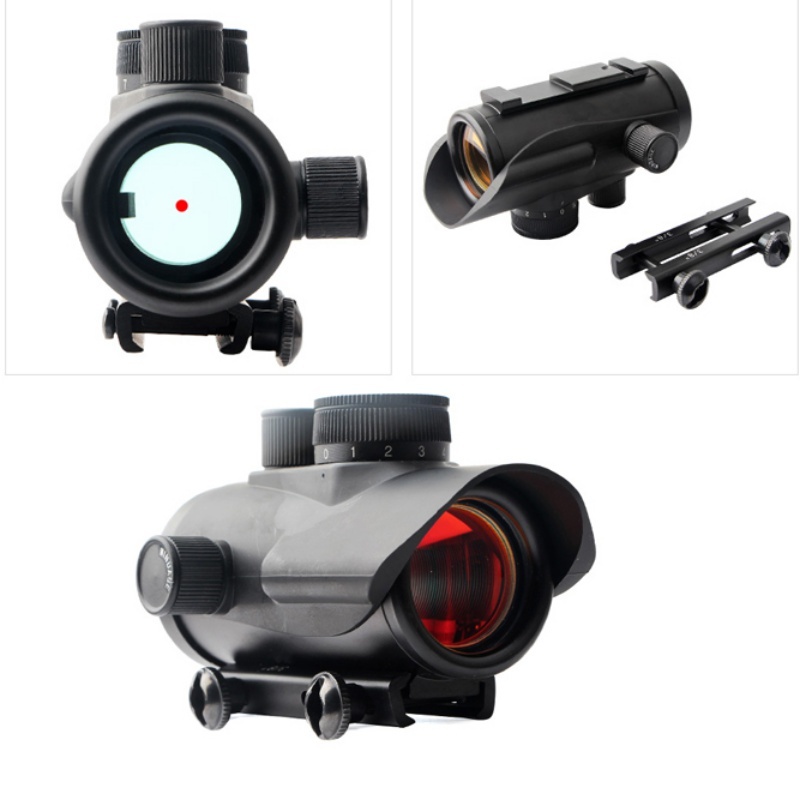 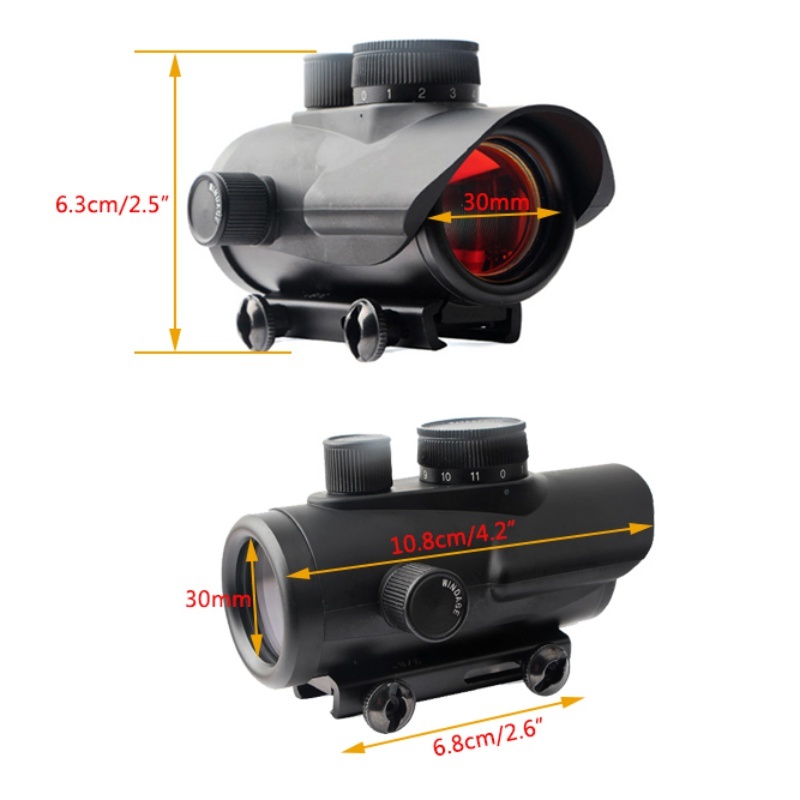 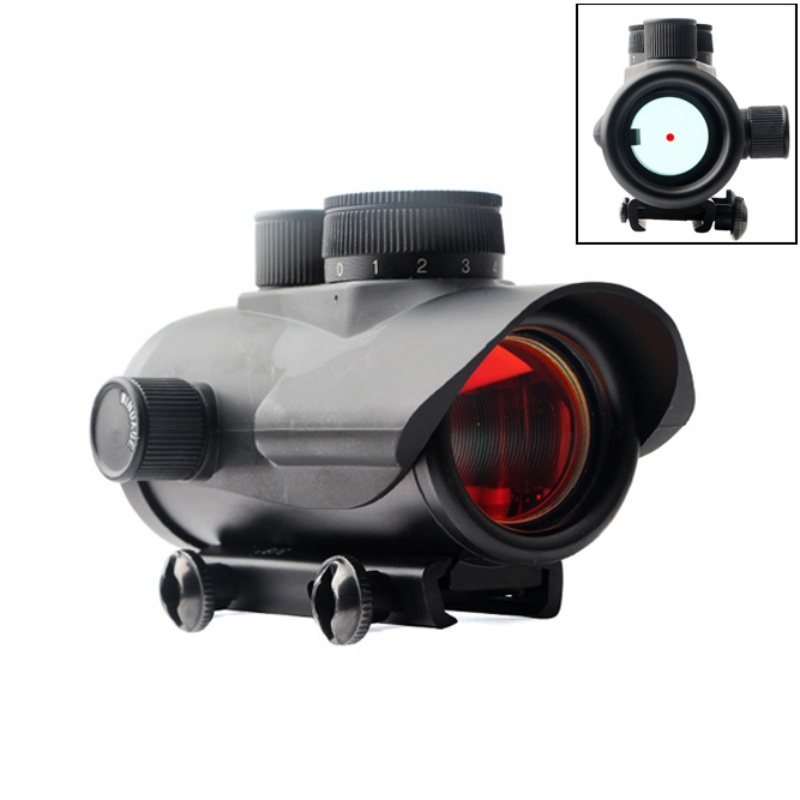 Description: Material: aluminum alloy 11 brightness adjustment red dot sight. 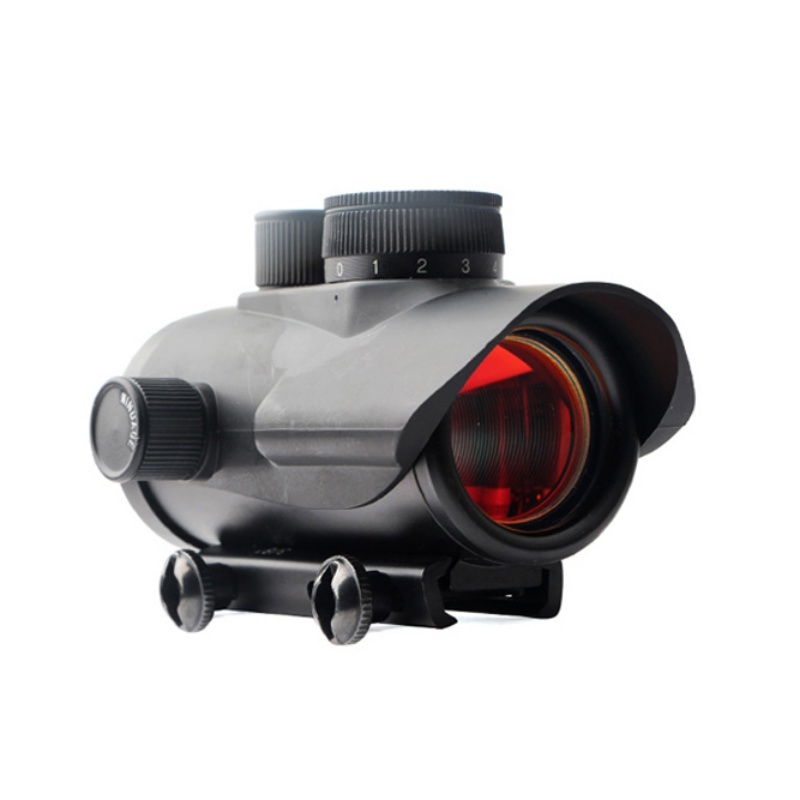 Rugged all metal construction Multi coated optical lens Precision brightness, windage and elevation adjustments Suitable for any lighting conditions Integrated mount for 20mm and 11mm rails Magnification: 1× Objective Lens Diameter(mm): 30 Exit Pupil Range(mm): 30 Field of View @100 Yds: 68 Optimum Eye Relief (in): UNLIMITED Parallax Setting: 50 yds. 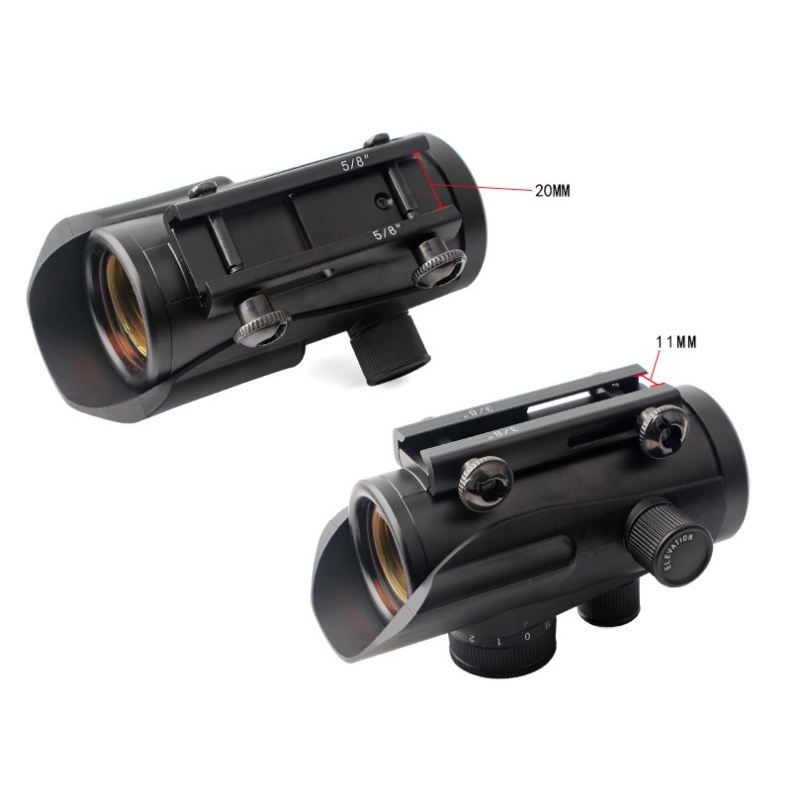 Size:As picture Weight: Fits all 20mm Picatinny And 11mm Weaver Rail."